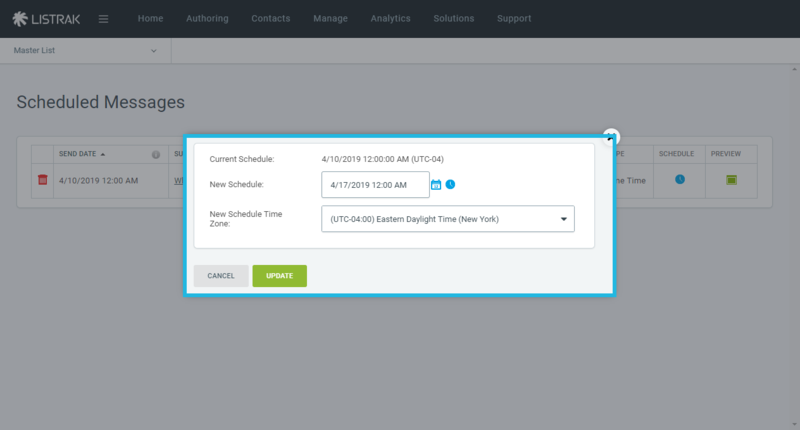 Learn how to edit the content of your scheduled message before it is sent. 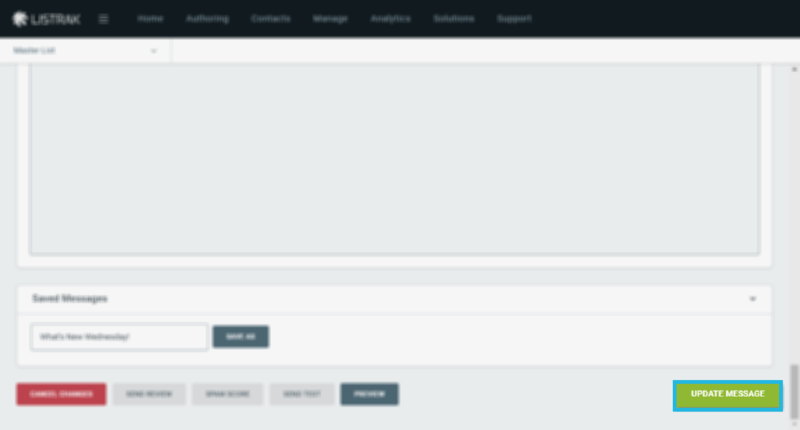 You can modify the content and settings of scheduled messages at any time. The changes you make will go into effect with the next occurrence of the scheduled message send. 2. Go to Scheduled Messages. 3. If you just want to change the recurrence or timing of the message, click the Edit Recurring Status icon. 4. 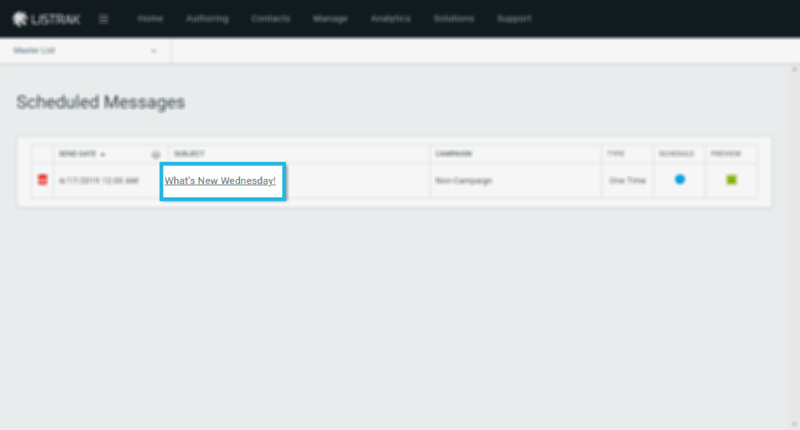 If you have scheduled a recurring message, you can deactivate the scheduled message by toggling Yes to No, or click Update to make changes. 5. You can edit the content of the message by clicking the underlined Subject of the email. 6. Doing so takes you to the message settings page where you can edit any of the content and settings.